View of the west choir. In front of the walls, at about 4 m height, stand the benefactor figures - 8 men and 4 women from the high nobility - who were the founders of the church in the 11th century. The figures were sculpted in the mid-13th century. The stained glass windows on the northwest, north and south sides (left) were created in the 13th century when the choir was built. 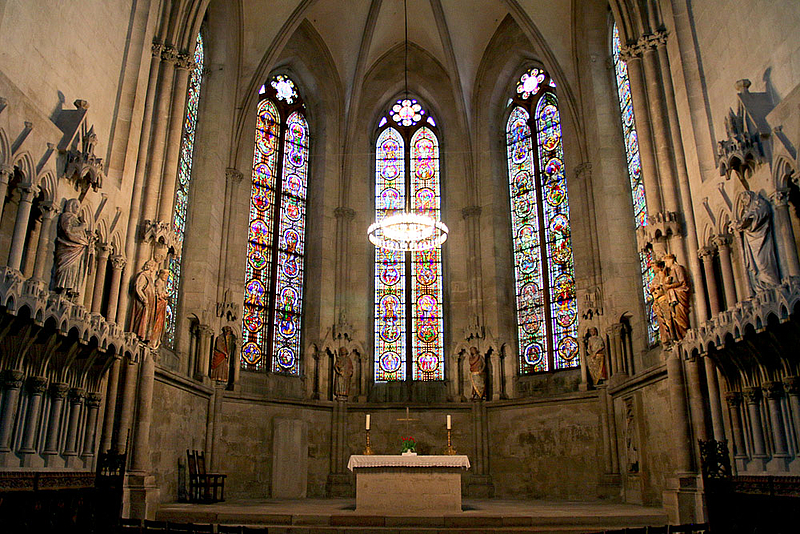 The glazing of the southwest and west windows (centre) dates from the 19th century.